Xiaoyi has produced an action camera which is easily expected to rival Go Pro action cameras. No, that is not a typographical error – Xiaoyi is a partner company of Xiaomi that developed the mentioned device, but Xiaomi will officially be selling it. 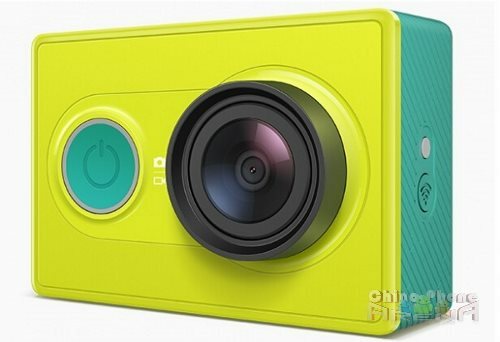 The Yi Action Camera is equipped with a Sony Exmor R BSI CMOS 16MP sensor. It has a 155 degree wide angle lens, 3D noise reduction, and digital image stabilization. It is capable of video recording up to 1080p resolution at 60 frames per second. The camera is also capable of remote triggering over a WiFi connection. It is packed with 64 GB of memory, twice the storage capacity of the Go Pro’s entry level Hero. Minimizing weight is another important aspect in action cameras, in order to provide the utmost convenience to users. The Yi camera will certainly be convenient, clocking in at only 72g. Naturally, the camera is waterproof and can go as deep as 40 meters under water. However, what users may miss on this device are the readily-available, diverse mounting options. The camera is reported to be available in China for $64, sans any accessories. Xiaomi will still have accessories available, which so far, seem to be a limited number of options. 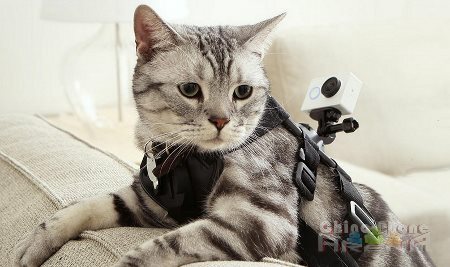 Photos show a selfie stick add-on and a strap attachment (which looks to be encouraged to be used on cats). A helmet mount is also reported to be available. Previous PostSony Xperia Z4 Tablet at MWC 2015Next PostUlefone Dare N1 – iPhone 6 clone?